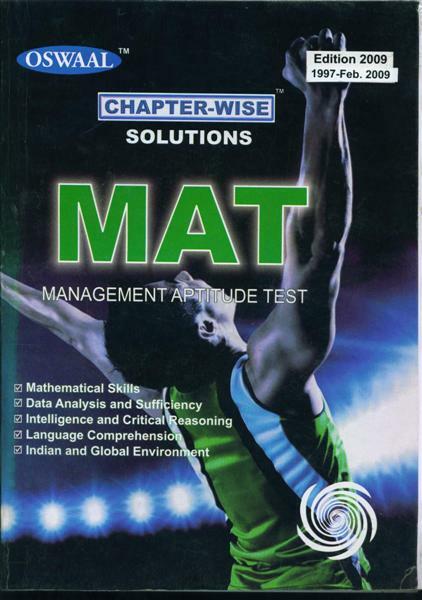 This book is designed to assist and equip the students with the right kind of study material for MBA Entrance Exam. One can�t grasp the subject only at coachings / tuitions, so just after learning a topic in the class a student can prepare the same topic through this book. The �Chapter-wise� presentation of these very important questions will enable a student to prepare each topic thoroughly and deeply. The �Mock Test Papers� Two to five hours put in daily could be enough for you to sail through. Do not begin with long tests right away. Begin with short 5 to 10 minutes tests and work on improving your performances by increasing the time duration. Moreover, this book will prove highly beneficial for the students studying independently to provide relief from burdensome task of making notes. Now, just plan out your studies with Oswaal series of reference books presto and reach for the maximum results. � Questions from all Previous Years Solved Papers. � The unique feature of this book is that a number of previous years and questions have been collectively given for every chapter. Other relevant questions have been framed in such a manner that the content of the chapter is completely covered in them.